The glucosamine, chondroitin and hyaluronic acid in the formula promote thick and viscous joint fluid to absorb concussion within the body or joint. Other ingredients such as Yucca, Curcuma, Corydalis and Boswellia maintain joint, bone, and supporting soft tissue health while managing discomfort caused by riding, training, competition and other normal, everyday activities. In contrast to the blends in the Herbsmith Impulsion line which address the factors that break down joint fluid, this blend helps to promote building thick and viscous joint fluid. It is therefore beneficial to use Viscosity in conjunction with one of the Herbsmith Impulsion blends in order to reach optimal joint health. 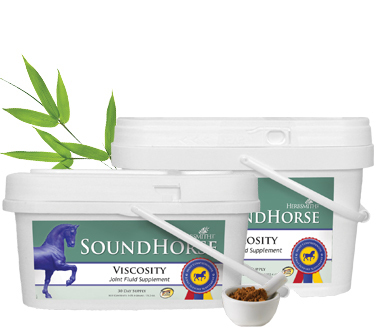 Still Have Questions About Sound Horse Viscosity?